Google Crawl Rate is nothing but the frequency with which Google-bot visits your blog and it can vary from time to time. 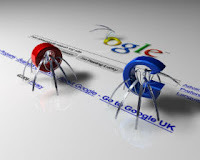 Regular and frequent visits by the crawler is the first sign that your blog appeals to Google. Here are some tips to increase crawl rate of your blog. Search Engine Crawlers loves regularly updated blogs. That is the reason that most blogs are having good crawl rate. If you do not update your blog regularly, Then most of the time your blog will be looking the same content. So, To increase crawl speed it’s been updated daily, you can add some RSS Feed Widget, twitter comment widget, Facebook widget, and Google group widget. Crawlers works on a budget. If it spends too much time crawling your huge images or Java scripts, there will be no time remaining to visit your other pages of your site. So avoid having huge images or scripts which takes a long time to load. Try to have small images which will load quickly. So that more pages will be crawled in less time. If you build more backlinks to your website, then you can get some good Page rank. When page rank of your blog is increased your blog gets crawled more than when your blog didn’t have enough backlinks or Page rank. 10 Things You Should Avoid While Building Backlinks. List Of 250+ DoFollow Blogs. Google bots or crawlers can’t read any information from images that you embed in your blog, so your blog won’t get good ranking in search engine and crawl rate will not be so good. Google loves textual content, if your blog is a textual content blog it will have more good crawl rate, at least better than non-textual content(photo blog, videos etc). If you are still having tough time getting Google Search Engine Crawlers to find some of your pages in a reasonable time, you can help the Google-bot by adding a sitemap to your blog or to your webmaster tools. Sitemap is a good solution to make sure Google Crawlers crawls your new blog post or pages even faster. How to submit your blog’s sitemap to google. To interlink your blog you can use related post widgets to add links to related post. So when a google-bot is crawling a page of your blog it can notice the link to the other page which will also be crawled. When you add more interlinks you can make your blog will be more sticky and also you can increase your crawl rate. Yes, search engines hate Plagiarism. They may ban your site and reduce your search engine ranking. New Google Algorithm is very strict on this. So avoid duplication of content in your site. If your site has some duplicate content then first clean them from your website. i really need that tips thank for the information. can you please help me also in doing all that things. Thank you for this tips... My particular two posts are not getting crawled..It's giving me a error..can you tell me please what should i do? Can you explain about the error which it shows? Google loves content, so the more content on a regular basis, it then knows to visit you more frequently, to get the latest stuff. Then with good linking, then Google can navigate all your your pages easily, increasing the chances of your pages being indexed. To ask off topic question kindly use contact page. Can you send a screenshot of the error you're mentioning.